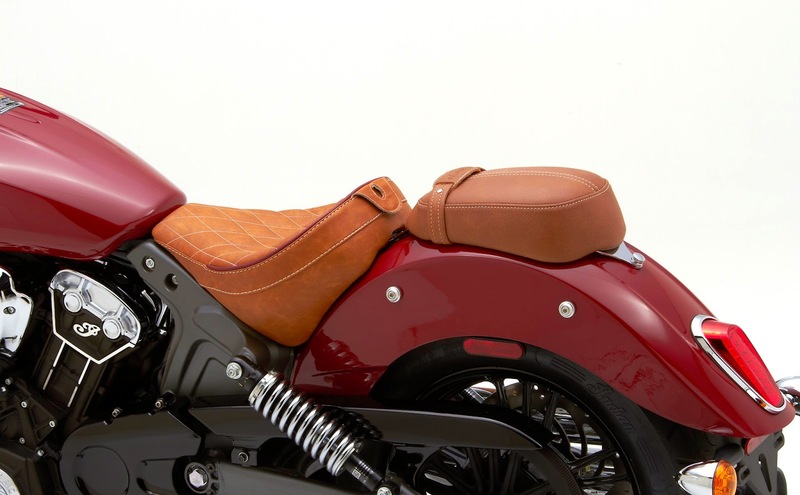 Hollister, CA - Corbin introduces an outstanding Classic Style Solo seat for the nostalgically styled 2015 Indian Scout. It provides maximum rider comfort combined with classy looks and a wide range of custom options. It also accepts a Corbin removable backrest for a total of 12 inches of vertical back support. Their sculpted seating position gives maximized body contact and provides touring quality comfort. This neutralized seat platform offers an easier reach to the ground and a more ergonomic position on the bike. accessible adjustment screw... no need to remove the saddle. Choose from a variety of backrest styles to suit your taste although we recommend the #02-S Ovalbac® shown above for the perfect balance of looks and support. 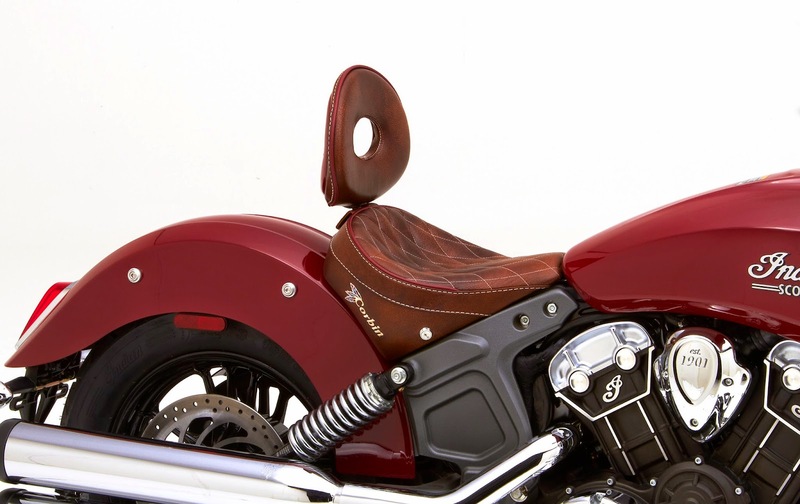 Classic Solo Saddle and backrest provide excellent support for riding while the shaping in the nose allows excellent ground reach at stop signs. Corbin designed their saddle to place the rider in the sweet spot on the bike for the best feeling of control. 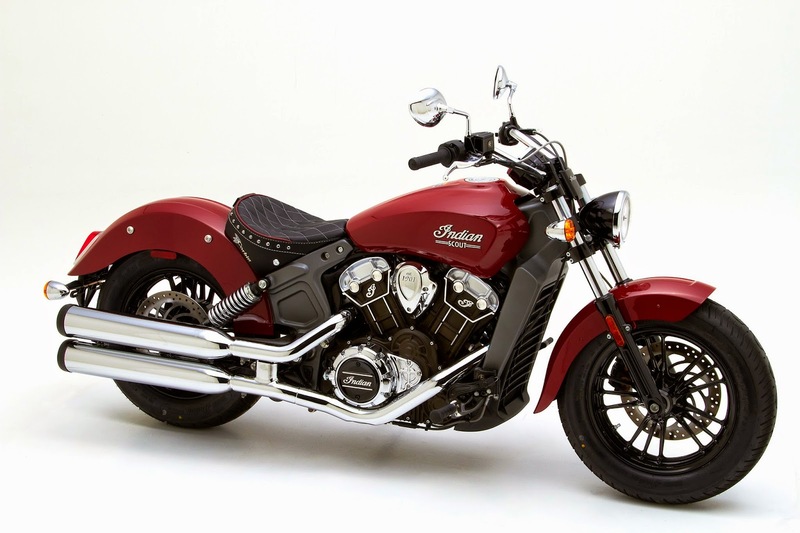 This placement is most comparable with the stock Indian seat, yet the narrow nose provides ground reach similar to Indian's reduced reach model while the neutralized seating area allows taller riders to scoot back for leg room…The best of both worlds! Choose from a wide range of leather styles and colors for a custom touch. Leather will provide a perch that breathes with your body and will break in along with the foam shape for a personalized fit. Optional chrome studs provide an added nostalgic touch (included at no charge, just specify).